GOSEONG, South Korea, Feb. 14 (Joint Press Corps-Yonhap) -- The South Korean border guard post on the east coast sits unarmed, with troops and weapons withdrawn, electricity and water supplies cut off and the ammunition storage emptied. Perched on a hilly spot just 300 meters south of the Military Demarcation Line, it is among the 22 guard posts that the two Koreas removed or disarmed under last year's bilateral military accord aimed at reducing tensions, preventing accidental clashes and building trust. 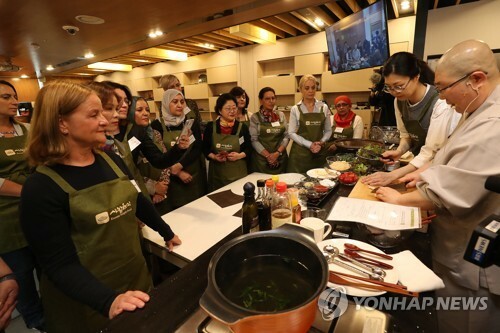 On Wednesday, South Korea's Army gave a group of reporters rare access to the facility, which harks back to the times of deep animosity between the democratic South and communist North but also symbolizes ongoing efforts for their rapprochement. 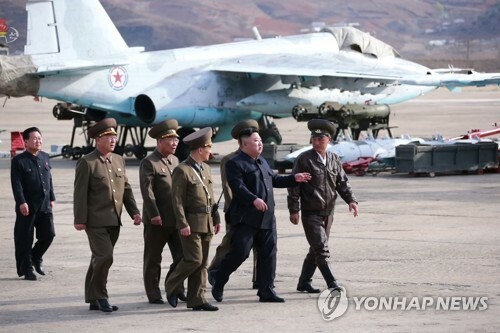 "Given that it sits on the country's northeasternmost frontline and is surrounded by North Korea's military facilities, its defense mission used to be of paramount importance," a military officer told reporters on condition of anonymity. He emphasized that there's been no change in the border troops' combat readiness. "Despite the current mood of peace, our troops keep focusing on their patrol missions with a greater sense of wariness," he added. 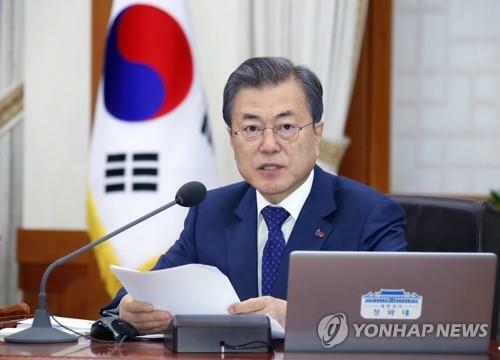 The guard post removal is in line with the agreement to "transform the Demilitarized Zone (DMZ) into a peace zone in a genuine sense," which President Moon Jae-in and North Korean leader Kim Jong-un made during their first summit at the truce village of Panmunjom in April last year. Seoul and Pyongyang initially agreed to demolish 11 guard posts each in the DMZ, but they later decided to keep one apiece, albeit unarmed, in light of their historical value. The South's Cultural Heritage Administration is seeking to register this disused guard post in Goseong, some 160 kilometers east of Seoul, as a cultural property. On Thursday, it sent an onsite survey team to the facility to study its historical significance. The frontline facility was established shortly after the armistice was signed to halt the 1950-53 Korean War. It had since served as a key element of the country's defense against North Korean infiltration. Just 580 meters away, there used to be a North Korean guard post keeping close tabs on South Korea's military movements. 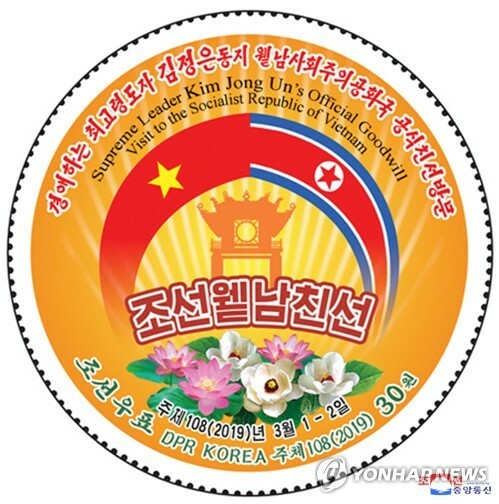 The post was demolished last November under the inter-Korean deal. Farther into the North stood a military observation deck where the late former North Korean leaders -- Kim Il-sung and Kim Jong-il -- and third-generation hereditary ruler Kim Jong-un oversaw artillery drills in 1991, 1996 and 2014, respectively. The deck brought back memories of heightened military tensions in 2017 when Pyongyang launched a series of provocations such as nuclear and long-range missile tests, with Seoul and Washington tightening the screw on it with crippling sanctions and diplomatic pressure. Seoul's push for tension reduction has helped allay public security jitters here, but skeptics argue that the pace of such efforts should be modulated in line with Pyongyang's move toward denuclearization. 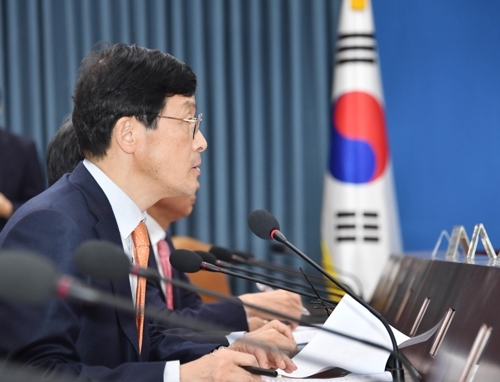 "Efforts to build trust with the North are still meaningful, but security concerns still linger as Pyongyang has made little substantive progress toward denuclearization," Park Won-gon, professor of international politics at Handong Global University, told Yonhap News Agency. 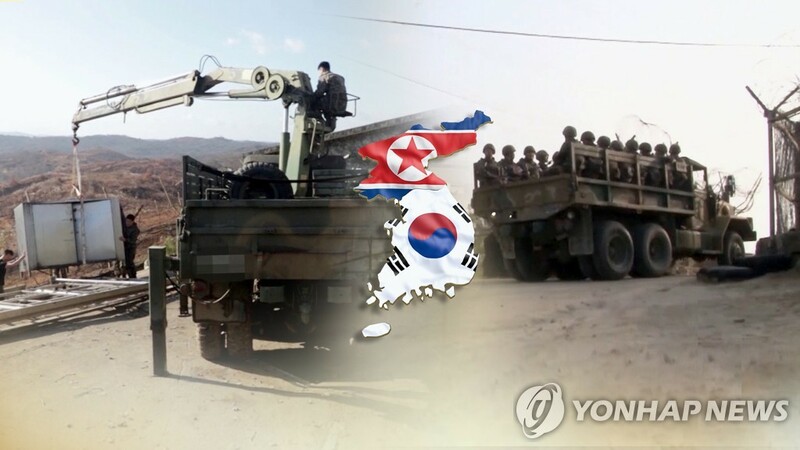 Seoul's Ministry of National Defense reassured the public that despite the removal of guard posts, it is maintaining robust readiness by capitalizing on high-tech patrol systems at units along the inter-Korean border. The ministry is currently seeking to launch consultations with the North this year over the removal of all guard posts.